Love spaghetti night? Good news: Even bottled tomato sauce comes chock-full of vitamin C and antioxidants like lycopene, revered for reducing oxidative stress in the body. If in a hurry, choose an organic tomato sauce (bottled in glass to avoid BPA). Look for very little added sugar, a downside of many bottled options. Otherwise, whip up a batch of your favorite tomato-based sauce, and make a good thing even better with these vitamin-, mineral-, and antioxidant-rich ingredients. Pair with a whole-grain and/or protein-rich pasta, such as quinoa or edamame, for a quick but ultra-nutritious meal. Deemed the “supernut” by antioxidant researcher Joe Vinson of Scranton University, walnuts top the polyphenol chart, containing more than any other nut tested. Walnuts are also high in manganese and other minerals such as calcium. 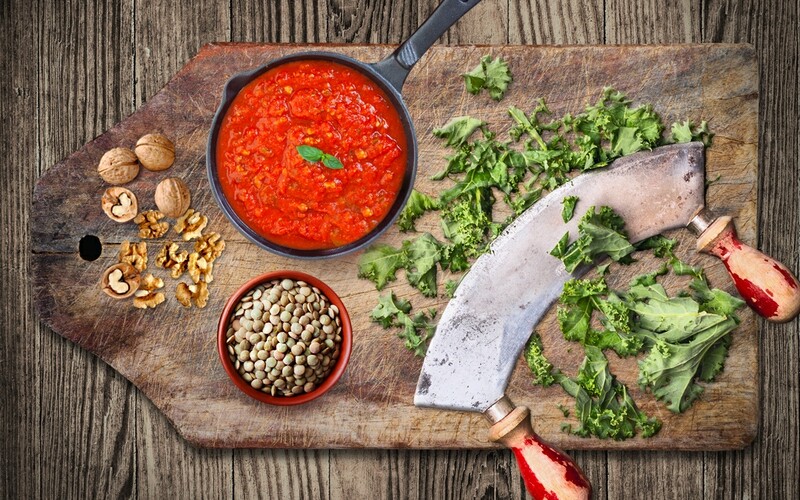 Add-in: Try a ½ cup toasted and chopped walnuts to every 1½ cups sauce to increase tomato sauce’s flavor and the heartiness of each bite. Just one half cup of cooked brown or green lentils contains a whopping 9 grams of protein. As with walnuts, you can use cooked lentils to “beef” up the sauce without adding any saturated fat or isolated soy proteins. Like other legumes and beans, lentils contain ample iron, which will be made more bioavailable in combination with the vitamin C of the sauce’s tomato base. Add-in: About one cup cooked lentils per 2 cups sauce. Haven’t learned to love kale smoothies? No problem. In fact, lightly cooked kale may contain more bioavailable nutrients. Shred kale into your sauce for a superboost of vitamins A, C and K, selenium, and up to 45 flavonoids (antioxidants), offering a wide spectrum of health benefits. Add-in: Slice 3–4 large kale leaves into ¼-inch ribbons. Toss into 2 cups sauce 2–3 minutes before serving so that kale gets lightly cooked, but is not soggy, to maximize vitamin content.